Chrysler is paying “shyster rates” to government lenders of last resort because banks reduced credit during the recession in 2008 and 2009, Marchionne said. He made the remark Friday during an interview at the J.D. Power & Associates International Automotive Roundtable in San Francisco. The automaker, operated by Fiat S.p.A., is preparing for an initial public offering in the second half of this year. The timing will depend on market conditions, Chrysler's financial results and its ability to refinance the government loans, Marchionne said. 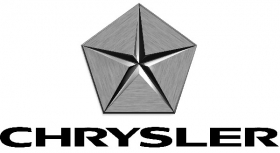 “Because of these changed market conditions as well as the improvements in our performance and outlook, made possible through the support of the U.S. and Canadian governments, Chrysler intends to repay these loans in full at the earliest opportunity,” Marchionne said in Saturday's statement. The automaker earlier this week posted a $652 million loss for 2010. Fiat boosted its ownership in Chrysler to 25 percent in January after Chrysler met one of three performance milestones. Marchionne has said he wants to meet the other two goals to increase Fiat's stake by an additional 10 percentage points this year.